Honey bees are among the very few insects that produce body heat. This is a result of the digestion of honey (sugars) that release thermal and chemical energy through oxidation (burning). 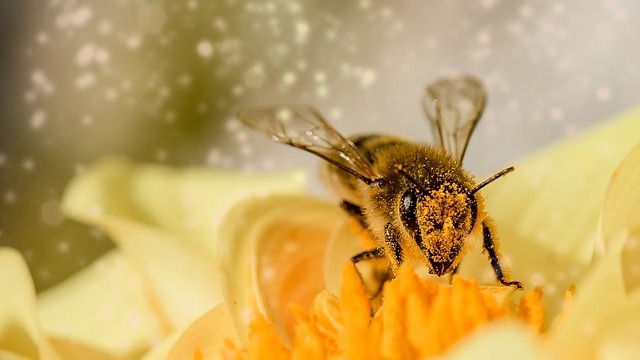 The evolution of honey bees suggests that increased honey stores provided more heat – for longer periods of time – allowing migration to regions of high elevation, cooler average seasons, and longer winters. Honey bees uniquely regulate their body heat individually and collectively. 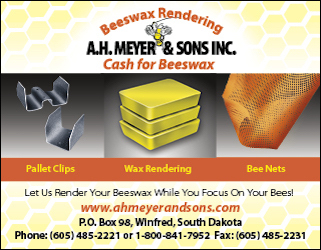 Each bee produces its body heat by flexing, pulsing and shivering its wing muscles. This heat is then dispersed through the colony cluster by rotating waves of bees moving over, into and out of the surface of the cluster. Well provisioned colonies would survive the dearth period permitting the queen another season. 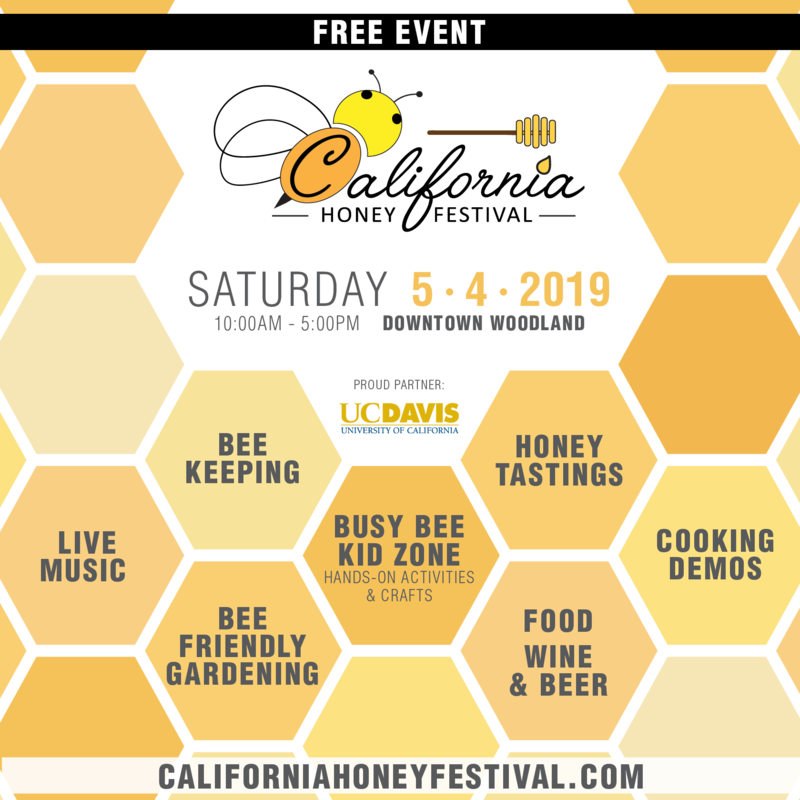 Evolving in this way honey bee queens have developed longer life spans, and are currently estimated to average five – six years. 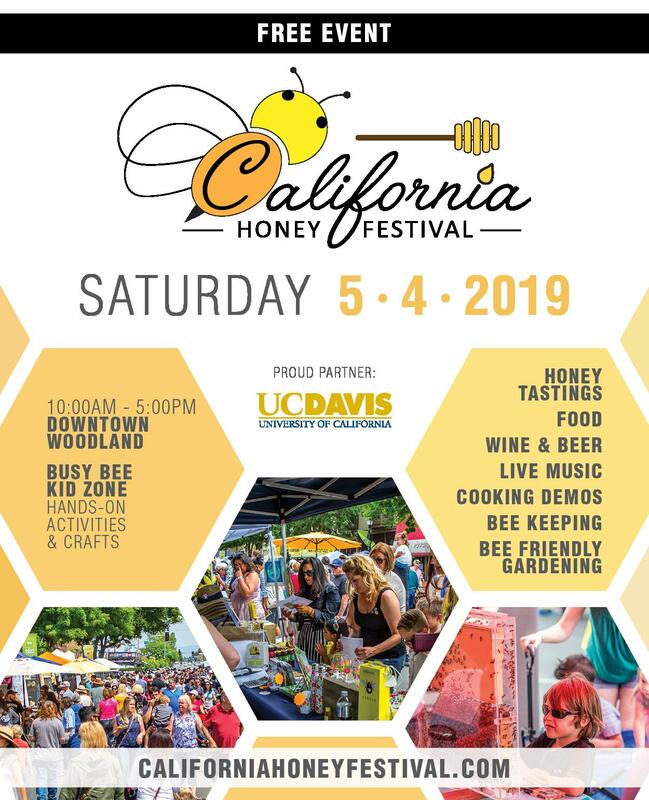 The limit of honey bee migration either north or south occurs where the nectar season is too short or too light to produce adequate Winter stores. The natural habitat of Apis mellifera mellifera (Nordic black bee) reaches the 55° latitude in parts of northern Europe. 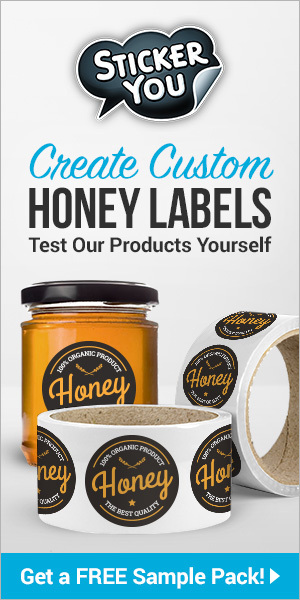 Because of this ability honey bees have become very good producers (and providers) of the perfect food – honey. Honey bees must be warm to survive. The temperature tolerance of the queen is quite limited requiring the heat generated by the colony. At the core the temperature remains mostly stable at or near the ideal for the queen. The surface of the cluster usually has a lower temperature than the core. This surface heat (temperature) varies considerably depending upon external conditions. These temperatures – core and surface – are primary and de facto indicators of colony health. 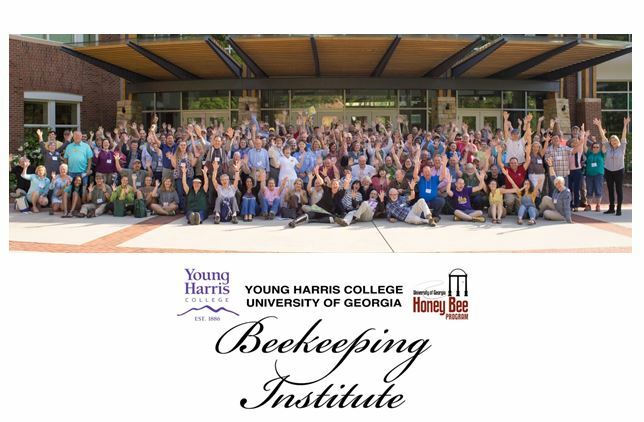 Beekeepers in temperate climatic regions, experiencing Winter seasons, commonly feed in the Fall and then wrap hives for Winter. 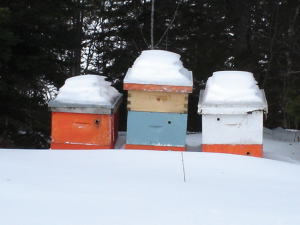 Now their work is done, and one must wait until Spring to see which hives won or lost the Winter lottery. Technology today has made it possible to conduct meaningful internal inspections without any disturbance or interference to the Winter colony. 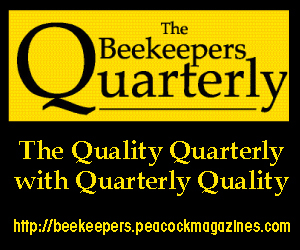 Let’s examine this technology as it applies to beekeeping. 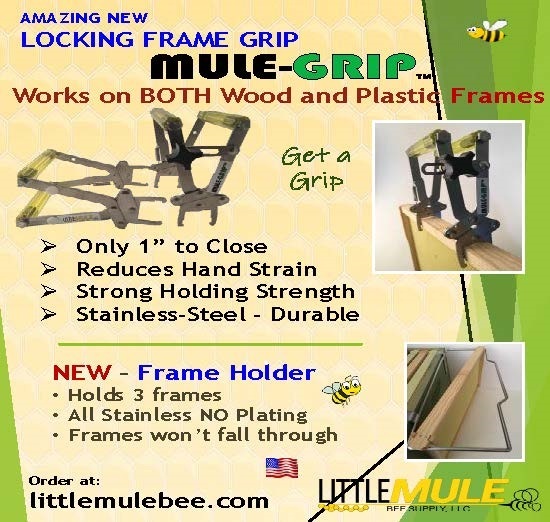 Originally designed for military use these devices have become very useful for domestic applications. 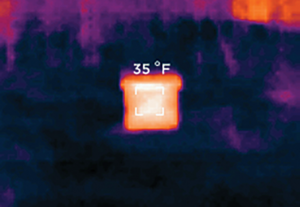 Formerly an expensive piece of technology, thermal cameras today are quite affordable. It is not my intention to review the current range of devices, however I will describe several thermal camera devices that would be suitable for beekeeping purposes. The radiometric image stores 4800 pixels capable of capturing thermal measurements from -10°C to +150°C. With over 32,000 individual thermal pixels it has a range of detecting temperatures from -40°C to +330°C. A 36-degree wide field-of-view (non-adjustable). Ten hours of operational battery life. 206 x 156 Thermal Sensor accurately measures temperature differences from -40°C to +295°C. Intuitive controls for one-handed operation. Save thermal images directly to the included SD card. Also 300 lumen LED light. Excluding video systems, there are three modes of thermal imaging cameras. The first type is the dedicated thermal camera that operates as one unit. The second type requires the use of a cell phone device to display the images, and the third type is the integrated thermal camera/cell phone such as the CAT. The thermal imaging devices listed above have an approximate price range of $400 to $1,200 dollars U.S. More expensive devices can be found up to and exceeding $15,000 dollars. 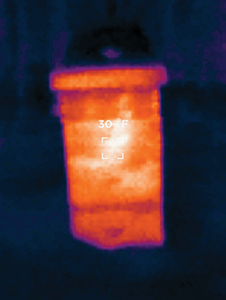 The model of thermal camera I placed in my beekeeper’s toolbox is the Seek Reveal. The only deficiency lies in its ambient operating temperature range of -14°F to 149°F (-10°C to 65°C). But who really wants to trudge through the snow when it is -30? 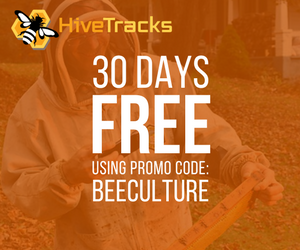 I find this thermal camera a very functional Winter inspection tool to determine the size and strength of colonies without any disturbance to the hive whatsoever. The thermal camera will produce a graphically represented ‘heat signature’ emitted by the object it is focused on. This allows the beekeeper an internal view of the beehive, the distribution of the heat within and the relative intensity of that heat. 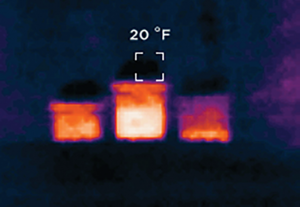 Although the thermal image will display a temperature reading at the reticle (the little square sight at the center of the image), this reading is of the external surface of the object. This is not the internal temperature of the beehive. To acquire an internal temperature a thermally conductive probe would need to be inserted through an opening into the cluster. The displayed temperature reading on the thermal image will be close to the ambient air temperature, or a little higher if there is strong sunlight, and/or heat transmitted from inside. 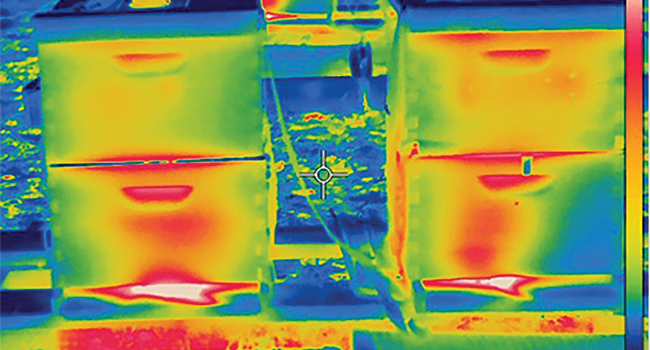 The thermal image of the wood stove I have provided demonstrates this particular function. The heat generated by the fire inside the stove is much higher than the surface reading. In image 1a, we see the beehive in daylight on February 12, with the ambient air temperature at 24°F (- 5°C). Next to it we see the same beehive as a thermal image (1b). The Seek Reveal has seven image filters, which modifies the IR radiation into a color-coded image. I have used the filter named Tyrian. These filters display the thermal image in various shades including black and white. In this image (1b) the colony cluster is seen as a bright white/yellow ball in the center of the hive with a cooler corona of red diffusing into blue around it. This is an ideal heat signature, and position for the cluster, which can then be confirmed as currently alive and healthy. This inspection took only a few seconds to perform. In image 2a we see the beehives in their daylight position on the same day. In this view it is not possible to know the conditions inside the three hives. However when we examine them through the thermal camera (image 2b) we can easily see the positions and relative strengths of the clusters. In the hive on the far left the heat signature is dispersed throughout the hive body and a small bright point is evident in the lower right corner. The core of the cluster would most likely be found at that bright spot. That position would indicate, on speculation, that the right side of the hive body has better insulating, or wind protection. In the middle hive the cluster appears strong (brightness), and well centered. The hive body is obviously well protected from wind on both sides, and has sufficient stores to generate this heat. The hive on the right reveals a cooler cluster located at the bottom of the hive body. This may be a response to the prevailing wind approaching from the right of the image (easterly). 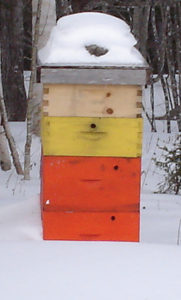 Should there be sufficient honey stores in the hive this colony may survive the winter intact. Otherwise, it may be a cause of concern. 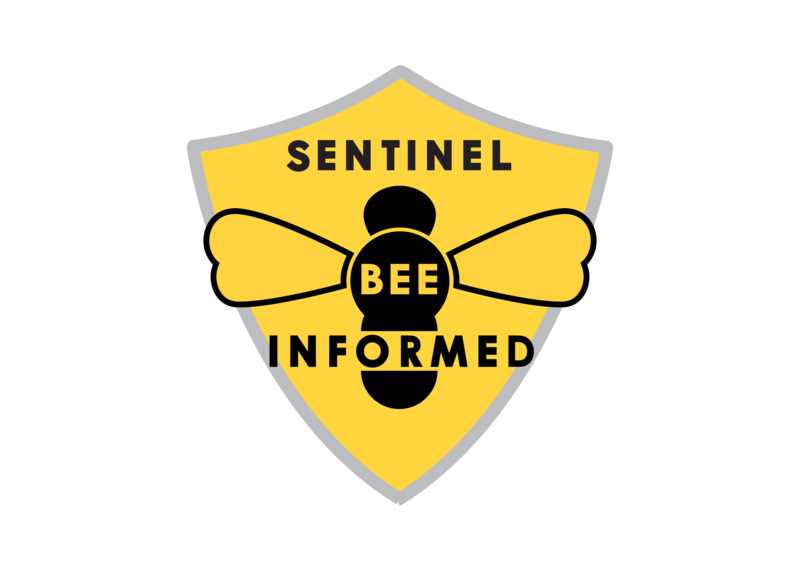 Follow up thermal inspections performed daily or weekly would indicate movement of the cluster within their respective hives, and any changes in heat output. If a hive demonstrated a weakening condition, i.e. diminishing heat signature, intervention would be appropriate. Depending upon the time of year that the life threatening condition presented itself, would determine what sort of intervention would be appropriate. 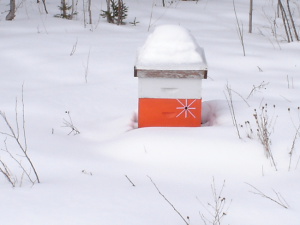 If it were occurring in mid-winter then moving the hive, i.e. skidding or sledding, to an indoor or protected location may save the colony. Should the weakness be detected in the springtime the quick rescue intervention may consist of immediate emergency feeding. 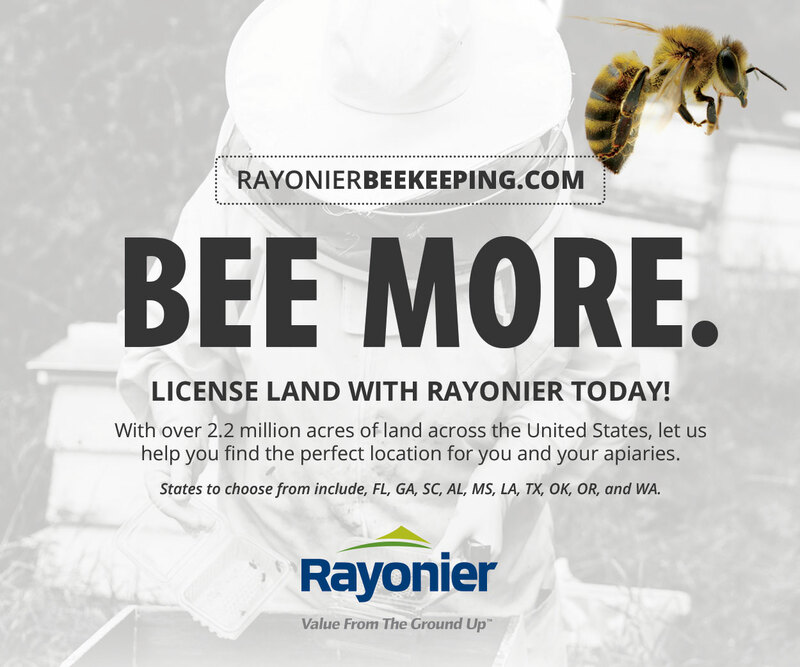 The quick and accurate inspections by thermal imaging provide beekeepers with relevant and immediate intelligence on their colonies at all times. Thermal imaging can be used for research purposes to study and follow treatments on the colonies as well as modifications to hive equipment, orientation, locations, etc. The use of thermographic images could significantly reduce the incidence of Winter losses through the awareness of internal conditions, and the results of applied treatments and preparations. Image 1b displays the heat signature of a colony within a hive body consisting of three deep supers and a medium. Image 3b displays its heat signature within a hive body of one deep super and one medium. 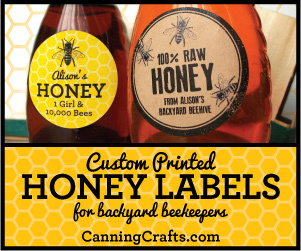 Both hives are located within fifty feet of each other in the same yard. Both hives have surface temperatures above the ambient air temperature. 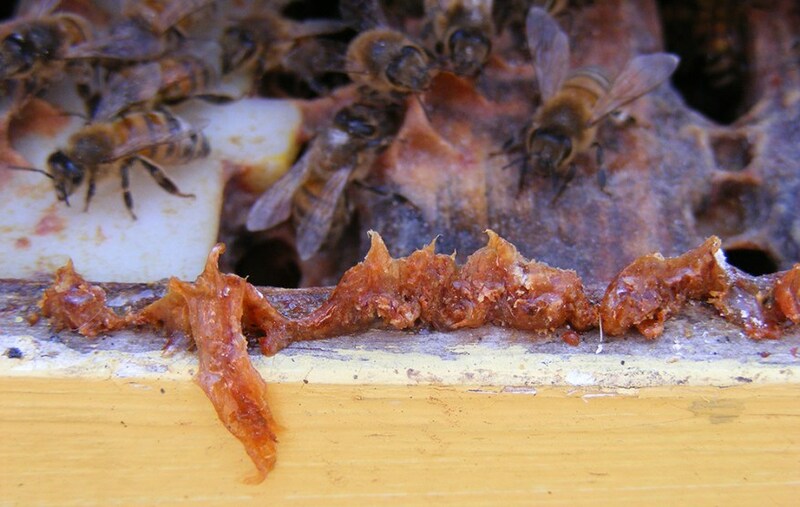 Both hives display internal conditions consistent with large, healthy clusters centered in their respective hive bodies. These two hives were confirmed in the autumn to be packed full of honey stores. This then remains as a primary test of hive body size as it pertains to Winter survival. 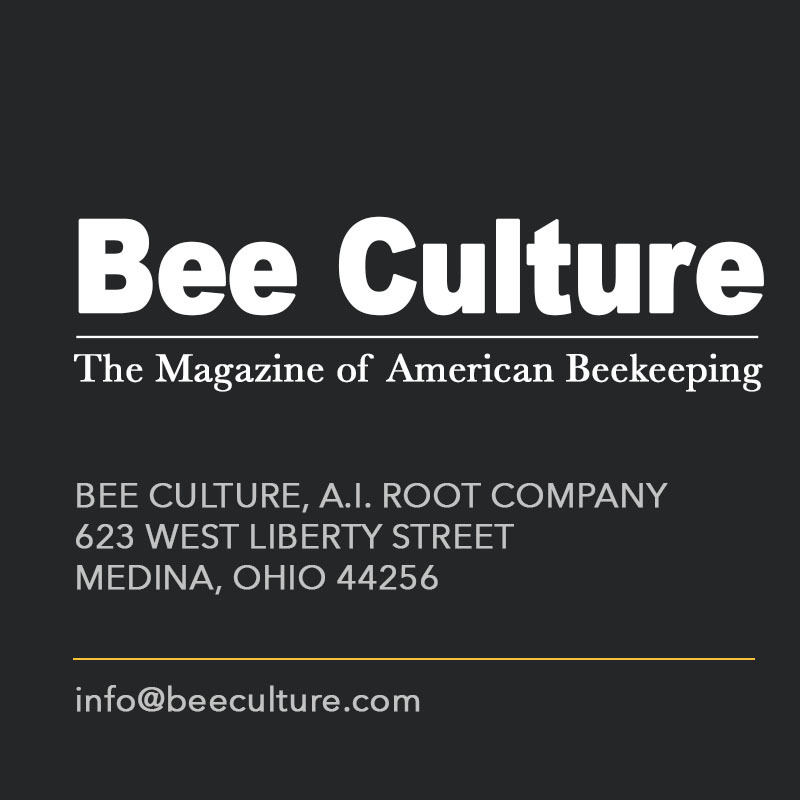 The springtime thermal readings and ultimate colony strength upon emergence in April/May will provide practical knowledge of the effects of hive body size for over wintering in this climate. Many other experiments can and should be conducted using this new technology that will, I’m sure, enhance the understanding and practical application of wintering honey bees. 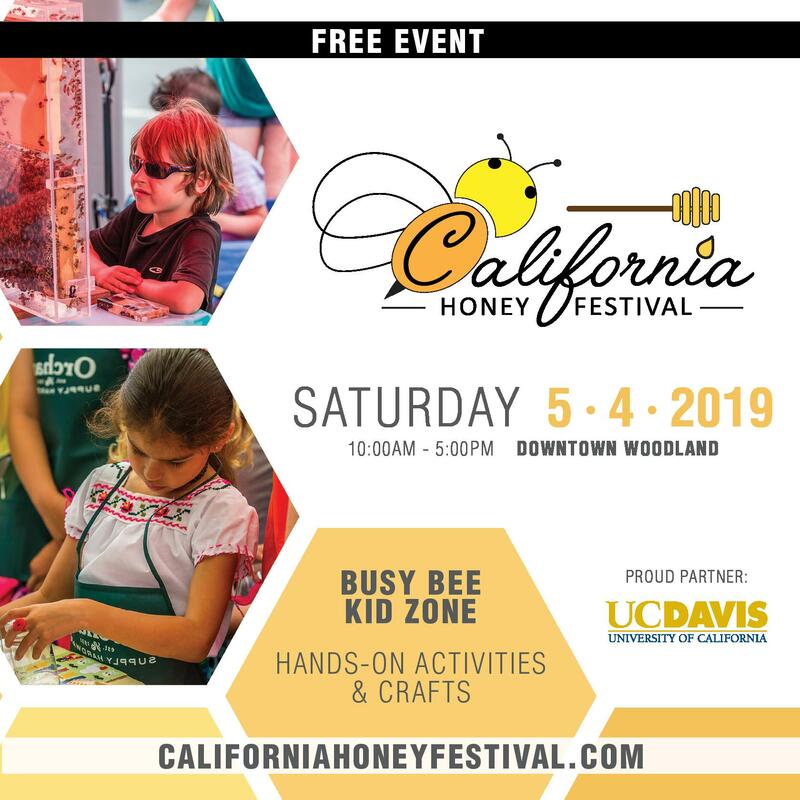 I look forward to conducting other experiments such as the activity of honey bee colonies at night, and under other conditions. Perhaps the condition of swarming may be detectable in advance by thermal imaging. 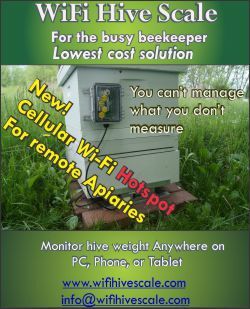 I am impressed with this technology and see it as becoming a standard tool for the serious beekeeper. 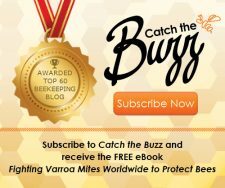 CATCH THE BUZZ – Microscopic Nanocrystals, the Size of Pollen Grains, Used to Track the Path of Pollen from Flower to Flower.